Tom Richardson, a year 12 student from Old Swinford Hospital School in Stourbridge, has been in all week on a work experience placement in our Collections department. 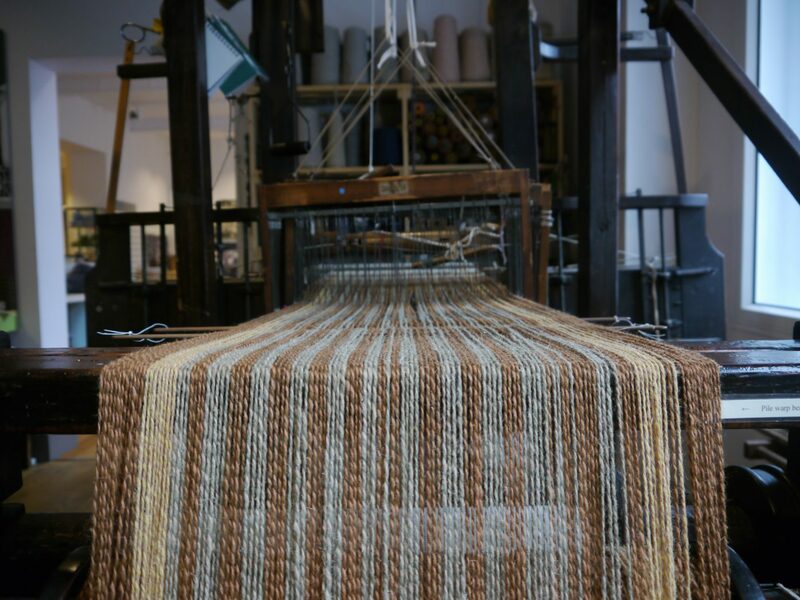 Read all about what he got up to during his time at the Museum of Carpet! My last day of work experience at this fine establishment was spent looking through the Shuttles. I am so fascinated by the content in here that I could spend days looking through them. My focus with them today was to try and discover whether, tragically, any soldiers had either died on the last day of conflict on 11th November 1918 or had died after the War had ended through injuries sustained through the War. I was shocked to find that the numbers of these soldiers was a higher number than I had previously thought with stori es of Soldiers dying from wounds afflicted during the War years after the War had ended. These stories, like my other research, will hopefully be included in the War exhibition and I cannot wait to see it finished as it will be well worth paying a visit too and I’m sure will mark all aspects of WW1 with the attention they deserve in this Centenary year. As 4pm approached and my time spending my work experience here was coming to a close I sat down with Jodie to reflect on my week here. I speak truthfully when I say that this has been one of the best work experiences I have been on and I will be truly sad for it to end. From the first day here I have been welcomed like I have been a volunteer for months and I have been treated with respect and trust to handle valuable artefacts that are hundreds of years old. I have gained invaluable experience on the running of a Museum and the struggles that are faced along the way. I have also learnt more information than I could have hoped for. Not only about Kidderminster and the Carpet industry but about the First World War as well, not something you expect from a Carpet Museum. But this establishment is more than just a Museum, it is in Its own right a living piece of history full to the brim of people who are passionate and without whom the history of Kidderminster would be forgotten. I myself will be certainly be volunteering over the summer and recommend this Museum as a must visit to anyone living in Kidderminster or the local area or indeed anyone that simply wishes to gain more historical knowledge. Either way this Museum has it all and certainly deserves its place on the map.